Come play at one of Manitoba's best country courses just minutes from Winnipeg. Nestled on the banks of the Seine River, Lorette Golf Course is a relaxing place to tee off and "putt” all your troubles away. This Public golf course is located only a 15-minute drive from the Mint in Winnipeg, giving you a timely access to the comfort, beauty, quiet and calming atmosphere you’d expect from one of Winnipeg, Manitoba’s best golf courses. 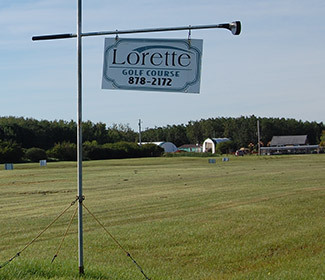 Lorette's 9-hole layout is only 8 minutes from Winnipeg Perimeter Highway. Take #1 East and then 207 South. A TRUE all weather course - cart paths tee-to-green on every hole! Newly renovated with over $250,000 in course improvements.